Q: I need to sign PDF documents with my USB Smart Card. 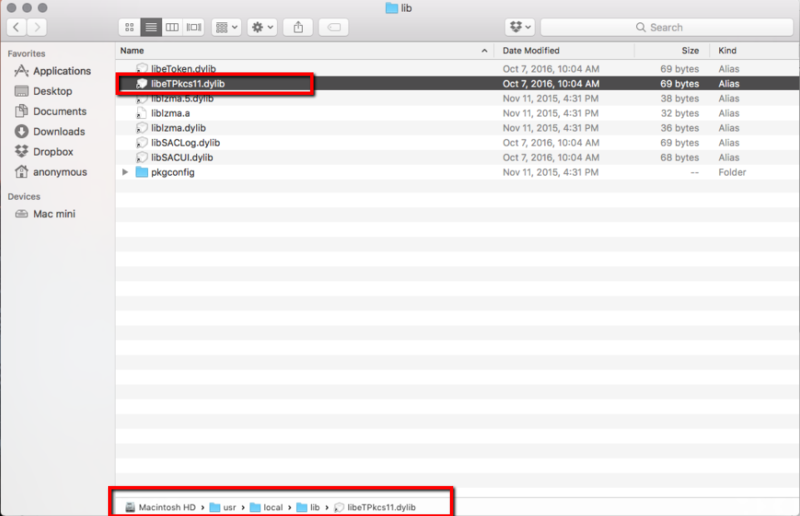 Can I do that using PDF Studio on my Mac system? A: Yes, you can. 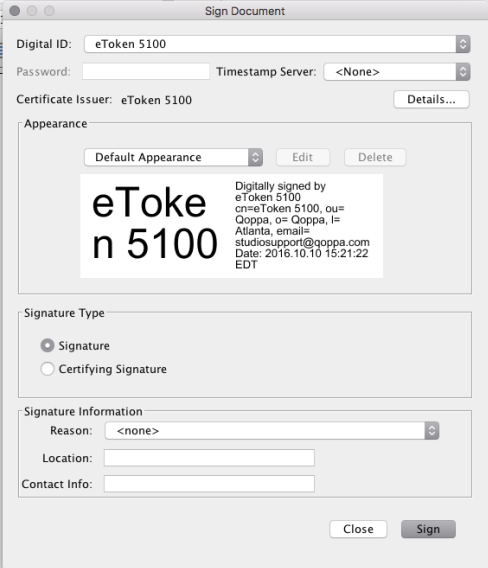 Starting in PDF Studio 11.0.4, we allow users to sign a document using their USB Smart Card. You can see the setup below as a reference. In this example, we used Safenet eToken 5100 on MacOS Sierra, different devices might have different setup. 2. Install the SafeNet Authentication Client software. You can click HERE for other versions. name = "Safenet eToken 5100"
5. 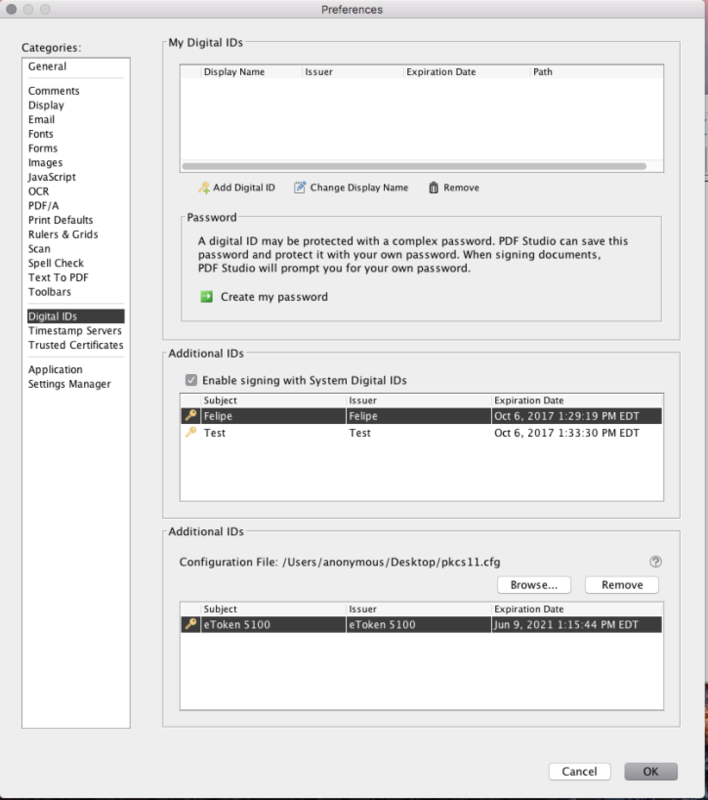 Open PDF Studio, go to Preferences -> Digital IDs. 7. Click browse and select the “config.cfg” which we created in step 4. 8. You will be prompted to enter the password for your token. Note: Due to a bug on Mac the dialog will appear behind the PDF Studio window. Move the PDF Studio dialogs to the side to enter your password. From now on, the signature ID on your smart card should displays on the signature list and allow you to sign the document.